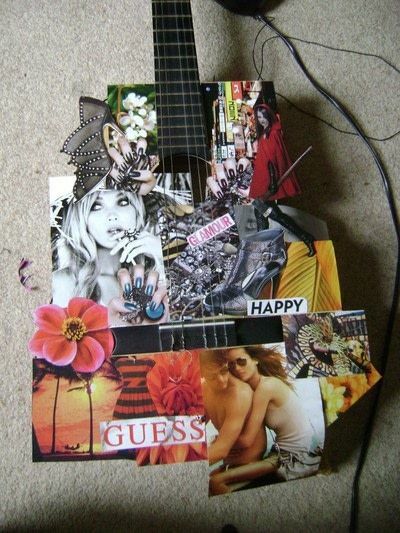 A nice easy project that makes a guitar look rather creative. I was cleaning out my friends room (weird i know) and he was going to chuck this in the bin since it had a couple of broken strings but i highjacked it. 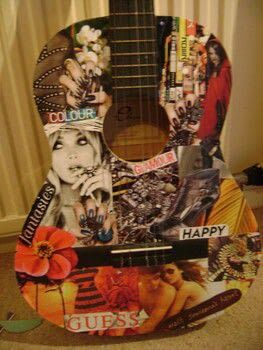 I found loads of images and laid them on the guitar to see what they'd look like. Once i found the design i liked i photgraphed them and took them all off. 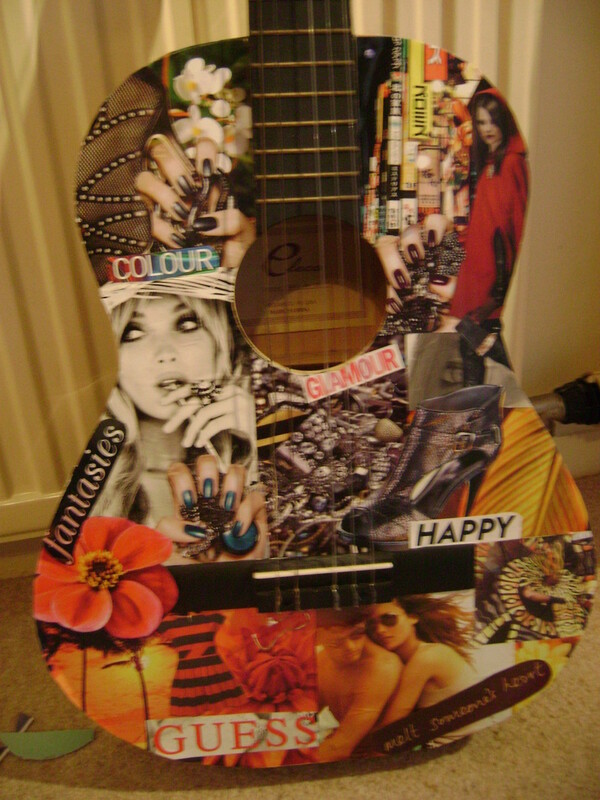 I then covered sections of the guitar at a time with glue and re-applied the images. Using a very sharp craft knife i went round the edges and removed the excess. At a later date i might varnish it. does putting the glue and what not on the guitar change the sound at all or make it weird to play?